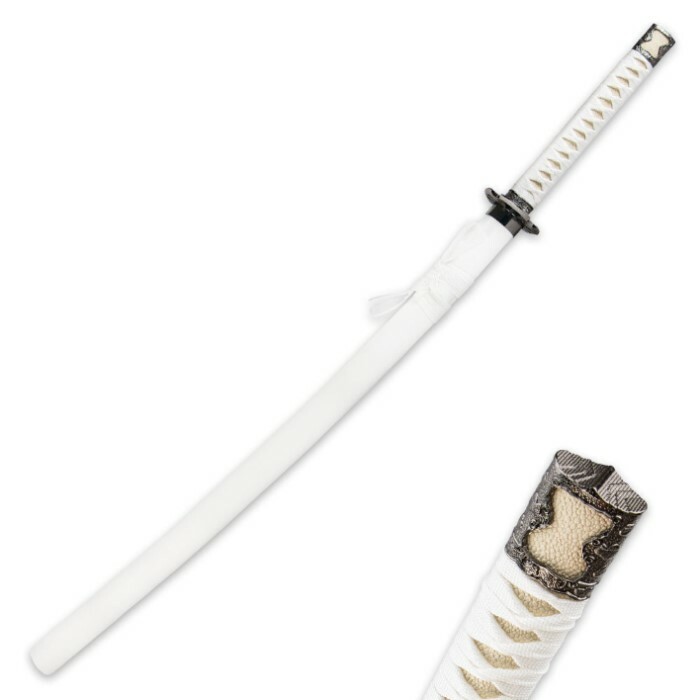 Every good guy needs this pure white Ninja Sword to battle against evil. This katana sword features a 27-3/4" carbon steel blade. 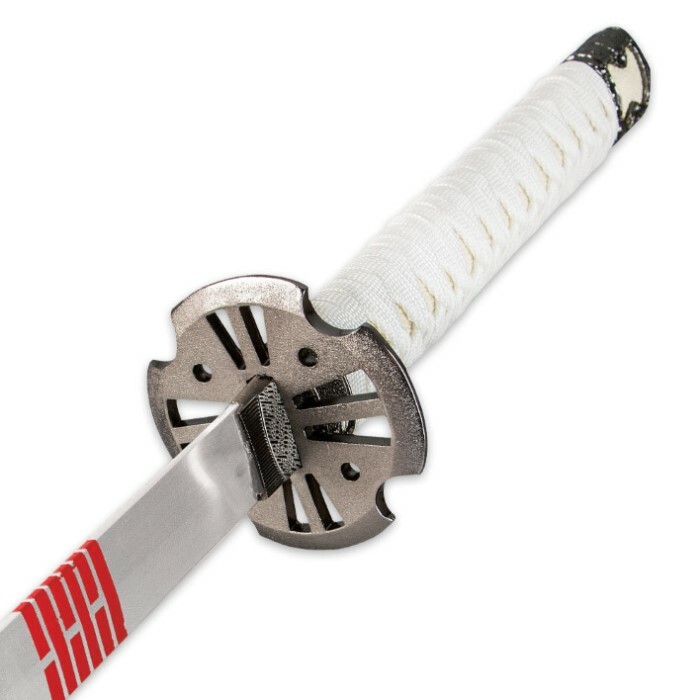 The blade is complete with red accent markings. The handle is traditionally wrapped with white cord. 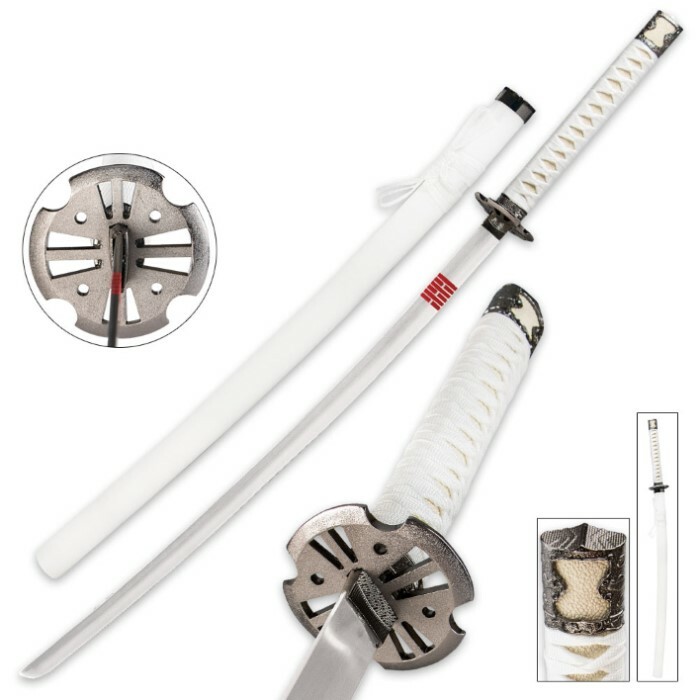 A matching white wooden scabbard with cord accents completes the package.